Speeds up to 60 mph! Travel at speed upto 60 MPH!!! Reminder: Pick-up occurs at the “tour bus rotunda” at the Excalibur Hotel. Pick-up is 1-hour before your tour. 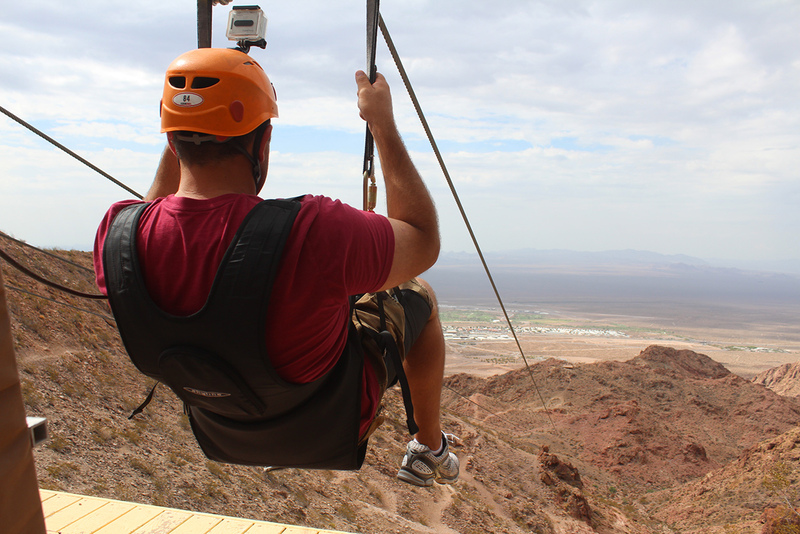 Las Vegas Zip Line Experience over Bootleg Canyon. 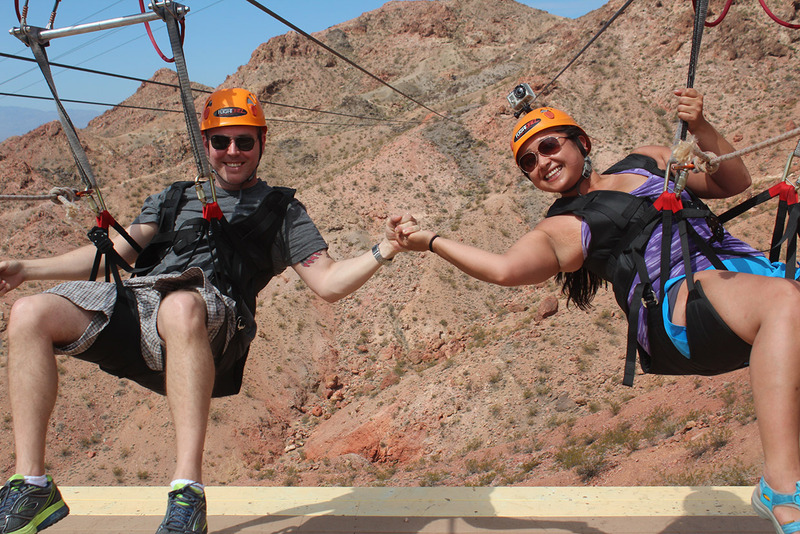 Complete 4 different zip lines for 1 price and satisfy your craving for an outdoor Las Vegas adventure! 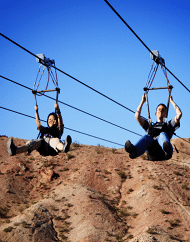 This zip line tour over Bootleg Canyon allows you to discover breathtaking views of Las Vegas, Lake Mead and the Eldorado Valley while your guides take you on an interpretive journey over the desert ecosystem. 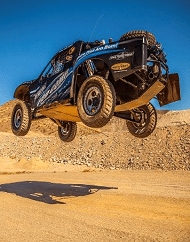 Between the four runs guests will cover over 8,000 feet (1.5 miles) of the Mojave Desert floor at speeds up to 60 mph. 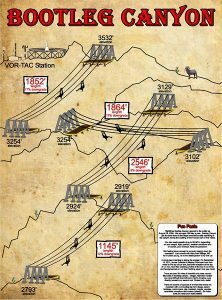 Flightlinez® Bootleg Canyon is located on the Red Mountains in Boulder City, NV, just 30 minutes outside Las Vegas. 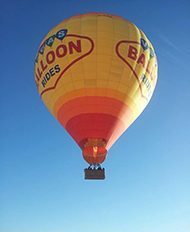 Featured on the Travel Channel with Bert the Conqueror, Fantasy Factory and MTV among other popular television tour shows. You don’t want to miss this amazing experience! 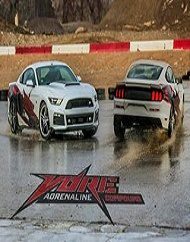 The distinct buzzing of the of the steel cables will fill your ears as you embrace the thrill of speed and the exhilaration of flight. 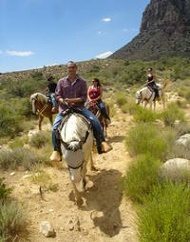 Along your journey you’ll be captivated by the scenic desert landscape and vast blue skies. Wildlife sightings are common on the tours. The canyon is home to red-tail hawks, chuckwallas, big horn sheep, and more. Your knowledgeable guides, while ensuring your safety and comfort, will provide historical, geological, and ecological information, and make you laugh all at the same time. Our zipline tour offers a unique experience that differs from others in that we use thicker cables and sophisticated trolleys. These upgrades provide guests with faster speeds and enhanced safety and comfort. The experience can’t be matched by anything else. Don’t let the opportunity pass you by. Book today. 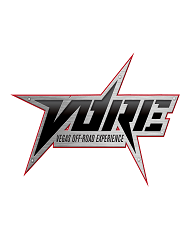 Included in your purchase is complimentary round-trip transportation from the Las Vegas Strip. All guests are picked up at the Excalibur Hotel tour rotunda location 1 hour prior to their scheduled tour time. Tour duration is approximately 3 hours, including transfers. Please contact Flightlinez at least 24 hours prior to your tour date to confirm pick-up time and location. 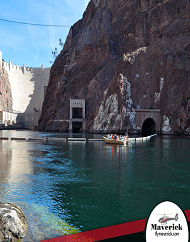 If you would like to drive to the canyon yourself, please arrive 30 minutes prior to your tour start time. All guests must wear tennis or hiking shoes that must secure and completely cover your foot. Guests will not be allowed to participate without proper footwear or if they appear to be intoxicated. Sunglasses are highly recommended as well as climate-appropriate clothing. 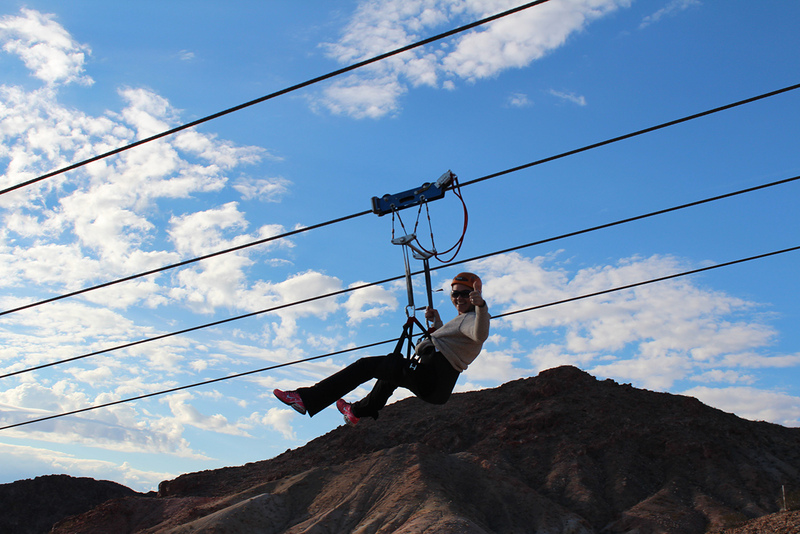 Please note: Weight restriction for zip liners is a minimum of 75 lbs, maximum of 250 lbs. No selfie sticks allowed. GoPro’s are allowed with mount attachments. 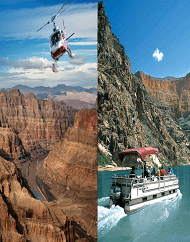 Save $50 OFF per person when you book the Grand Canyon Helicopter Landing Flight & Zip Line Experience! 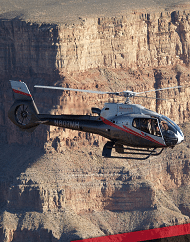 Join 5 Star Helicopter Tours on this unique tour combining a 30 minute helicopter landing at Grand Canyon West Airport Gift Shop and a 4-line Zip Lining experience over Bootleg Canyon located in Boulder City. 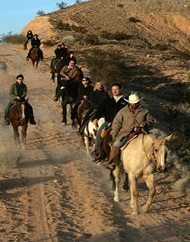 Maverick Breakfast Horseback Riding Adventure Tour. Reminiscent of the cowboys that made the American West famous, this ride is just for you! 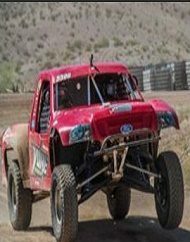 Lets Get Dirty Off-Road Racing Experiences Las Vegas.Looking to take your off-road driving ability to a higher level? This is a great starting point! 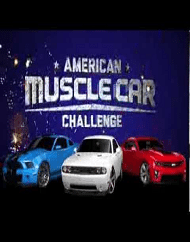 American Muscle Car Challenge Las Vegas Motor Speedway. 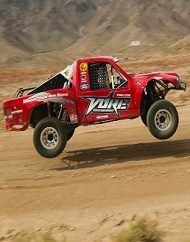 Muscle up to 140 mph on the Las Vegas Motor Speedway. You are in the driver's seat, are you ready? 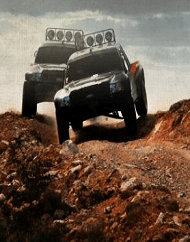 Desert Teaser Off-Road Racing Experiences Las Vegas.Great for beginners wanting to experience what it's like to drive an off road race truck in the desert. 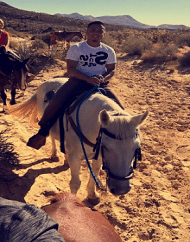 Ol Spanish Trail Horseback Riding Adventure Las Vegas. 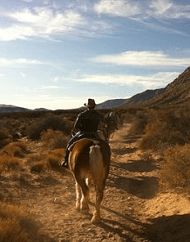 Ride on the same dusty trails once ridden by some of the most infamous outlaws of the American West! 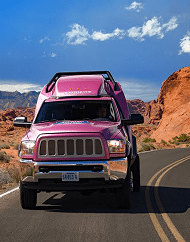 Grand Canyon West Rim Drive Fly Float Tour Pink Jeep. 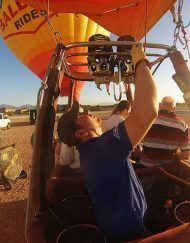 This 3-in-1 tour is the best optoin for guests looking to experience every aspect of the West Rim. 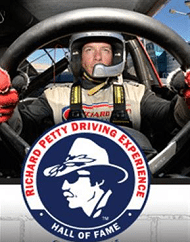 Las Vegas NASCAR Rookie Driving Experience by Richard Petty. 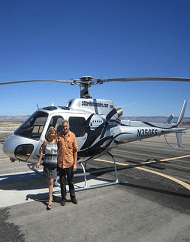 Round-trip transfers from Las Vegas Strip to the Speedway. 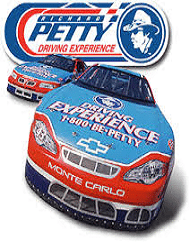 Enjoy 8 laps at 160mph! 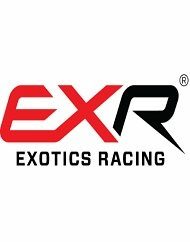 Exotics Racing Experiences Las Vegas Motor Speedway. 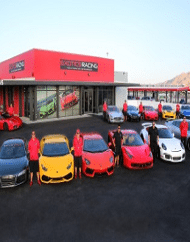 Largest fleet of exotic cars: Ferrari, Lamborghini, Porsche, Aston Martin, Audi, Mercedes and Nissan!